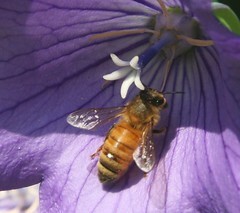 I'm not seeing many honeybees this year. Noticeably less than last year. But I can usually spot one or two in my garden in the heat of midday. 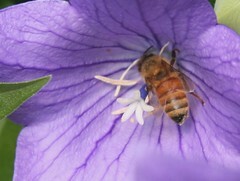 This is one I found today gathering nectar in the platycodon flowers. 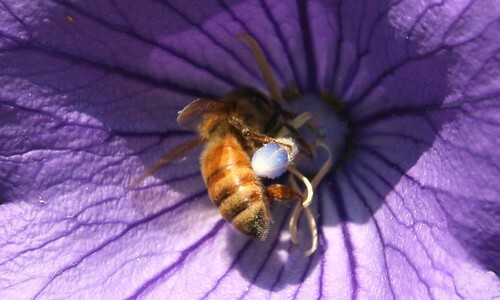 I planted a lot of extra flowers earlier this summer to try to attract more honeybees to my garden and it does seem to help. I have many other types of bees this year (metallic green bees, bumblebees, and lots of small black bees), but still its nice to see the honeybees. I wonder if they will recover next year?